Neshoba Central completed an unbeaten season and extended its string of consecutive titles to six in the MHSAA/Blue Cross & Blue Shield of Mississippi Fast-Pitch Softball State Championships held jointly May 10, 11 and 12 at Mississippi State University and the University of Southern Mississippi. The Lady Rockets (34-0) defeated Pearl River Central 3-0 and 6-2 for the Class 5A title and their 8thchampionship in school history. The Lady Devils finished 26-7. Class 4A: Kosciusko defeated Lawrence County 9-7 and 5-2. The Lady Whippets finished 31-4 en route to their first title. The Lady Cougars ended 30-4-1. Class 3A: Houston defeated Raleigh 6-1 and 10-2. The Lady Toppers finished 25-6 for their first state championship since 2012 and second overall. Raleigh ended 20-11. Class 2A: St. Patrick defeated Lake 3-2 and 7-5. The Lady Irish finished 22-7-1 in capturing their first championship since 2014 and 4thin the program’s history. Lake finished 20-7. Class 1A: Hamilton defeated Myrtle 6-4, 5-7 and 11-3 in the only three-game series of the championships. The Lady Lions (19-12-1) won thei 1stfast-pitch title after winning nine slow-pitch crowns since 1992. The Lady Hawks ended the season 20-7. 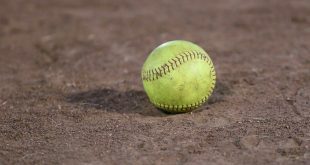 Hamilton, Newton County and Neshoba Central took home titles Oct. 21 in the 30thannual MHSAA C Spire Slow-Pitch Softball State Championships at Freedom Ridge Park in Ridgeland. In Class I, Hamilton defeated Enterprise (Clarke) 11-5 and 12-5 to win a second straight championship and ninth since 1992. In Class III, Neshoba Central defeated Wayne County 14-1 and 10-3 for sixth title in a row.